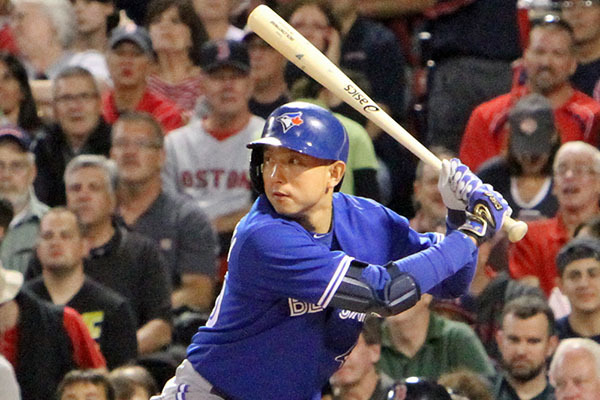 Munenori Kawasaki as DH in Blue Jays 4-2 win at Fenway Park September 21, 2013. Photo credit Jonathan Eto. Munenori Kawasaki, age 35: 2B/3B, from Kagoshima, Japan. 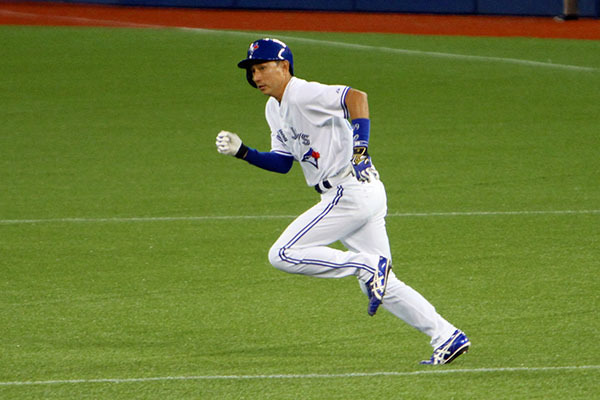 Munenori Kawasaki pinch running in the bottom of the eighth in a 3-3 tie game against the Miami Marlins in interleague play June 9, 2015. Many fans are not aware that “Muni” had such a decorated NPB career, earning eight All-Star appearances, was the Pacific League Stolen Base leader in 2004 and won two golds for Japan at the World Baseball Classics. The beloved Kawasaki was released, re-signed and then hit a three-run homerun in a spring training game, all in one day with the Chicago Cubs. It was looking good for the fan-favourite as he made his debut with the Cubs April 10 with a pinch hit single at the top of the ninth. He went on to steal second in a 7-3 win over the D-backs. But the Cubs have used him only two other times this year. 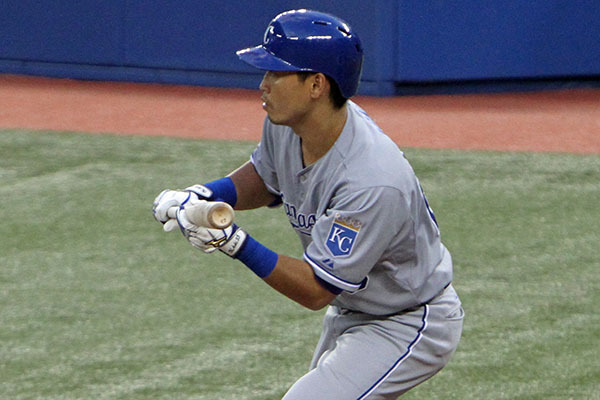 Norichika Aoki lead off the KC Royals against the Jays May 30, 2014, hitting a single, double and stole a base to a 6-1 win. Photo credit: Jonathan Eto. Nori spent all of his Nippon Professional Baseball (NPB) career with Tokyo’s Yakult Swallows (2004-2011) and is one of only four Japanese players to amass over 200 hits in a NPB season. Unlike Major League Baseball (MLB), NPB’s season is 18 games shorter, playing only 144 games. After an illustrious career with the Swallows, including seven consecutive All-Star selections, Aoki was acquired by the Milwaukee Brewers. He later went on to play for the Kansas City Royals, San Francisco Giants and Seattle Mariners. With Kansas City, he set a franchise record 11 hits in a three-game series (Chicago White Sox 2014). 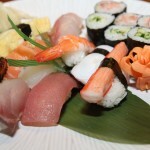 With great speed on the bases, Aoki would often bat leadoff. This year, he struggled early on and lost momentum and was eventually reassigned to the minor leagues for a four week conditioning stint in late June after batting just .234. Upon his return he regained his confidence and has raised his average 31 points, batting .359 throughout his first 22 games of August. 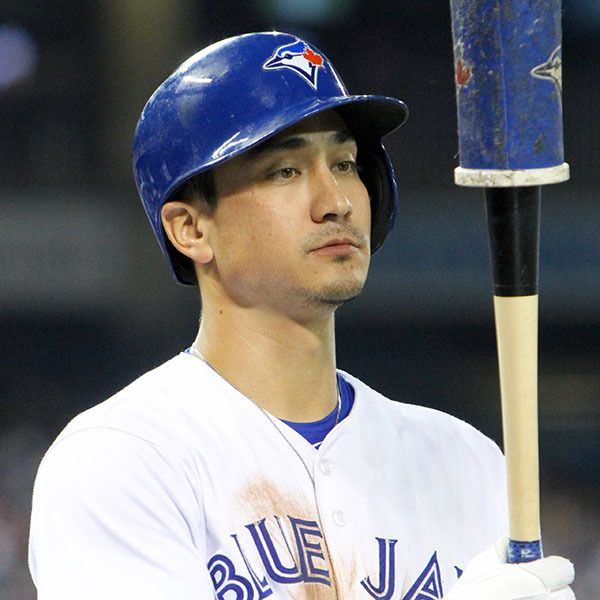 Darwin Barney of the Toronto Blue Jays in the on deck circle against Detroit July 8, 2016. Photo credit: Jonathan Eto. Barney, who is a quarter Japanese, quarter Korean and half American-Hawaiian, was originally drafted by the Chicago Cubs in 2007 and made his first appearance with the team in 2011. He went on to win a Gold Glove Award and Fielding Bible Award in 2012 before being traded to the LA Dodgers and eventually to the Toronto Blue Jays. 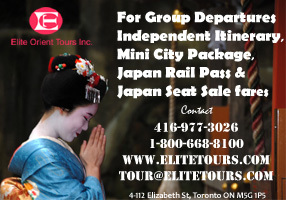 He has made great contributions to Toronto this year playing 2B, SS, 3B, LF and was even called on to pitch in the 19th inning against the Cleveland Indians on Canada Day. Unfortunately, he took the 2-1 after allowing only one hit, a solo-home run to Carlos Santana. After playing sparingly to start the season, Barney became an everyday player with strong fielding and a batting average of .310 to start May. He raised his average with a hot bat, averaging .344 to start June. Unfortunately, his swing has cooled off in August and is now batting .262. Iranian-Japanese, Yu Darvish tossed a gem against the Jays in a 5-1 loss bringing his ERA down to a minuscule 2.88, July 18, 2014. Photo credit: Jonathan Eto. The 6’5”, half Iranian and half-Japanese right handed pitcher is a five time NPB All-Star with a career Earned Run Average (ERA) of 1.99 playing with the Hokkaido Nippon-Ham Fighters. He was signed by the Texas Rangers in 2012. He continued his pitching prowess to become the fastest starting pitcher to reach 500 strikeouts in MLB history, with 401⅔ innings in 2014 but was topped this past July by Jose Fernandez who completed the feat in just 400. 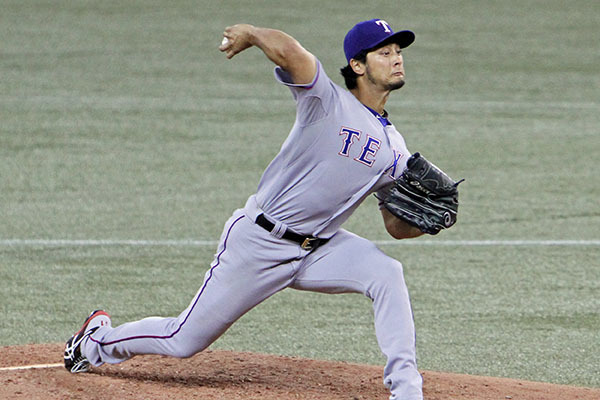 Darvish is also a three time MLB All-Star. Yu spent all of 2015 and the beginning of this season on the disabled list recovering from having surgery on his right elbow. May 28 marked his highly anticipated return and although he won his first game back, his record of 4-3 doesn’t indicate how well he is pitching, as his ERA is 2.91. He hit his first career home run on August 24, 2016. 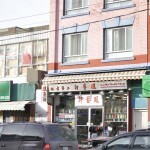 The Seattle Mariners visited the Blue Jays April 28, 2012 with their Japanese filled roster. Hisashi Iwakuma (photo), Ichiro & Munenori Kawasaki.All three played but the Jays proved too powerful winning 7-0. Photo credit: Jonathan Eto. This three-time NPB All-Star and one-time MLB All-Star was signed by Seattle in 2012 and has pitched successfully for them ever since. He is only the second Japanese born pitcher to throw a no-hitter which he earned August 12, 2015 in Baltimore. Though he started the season slowly going 0-3, he has bounced back to a respectable 14-9 record and 3.81 ERA. Although these are his career worst stats to date, he is also leading the Mariners in wins with six more than Cy Young winner Felix Hernandez. 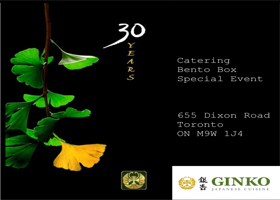 Kenta Maeda of the Los Angeles Dodgers makes his first Canadian appearance May 6, 2016. Finishing the game with a two run no-decision advancing his record to 3-1, with a 1.66 ERA and 0.95 WHIP. Photo credit: Jonathan Eto. 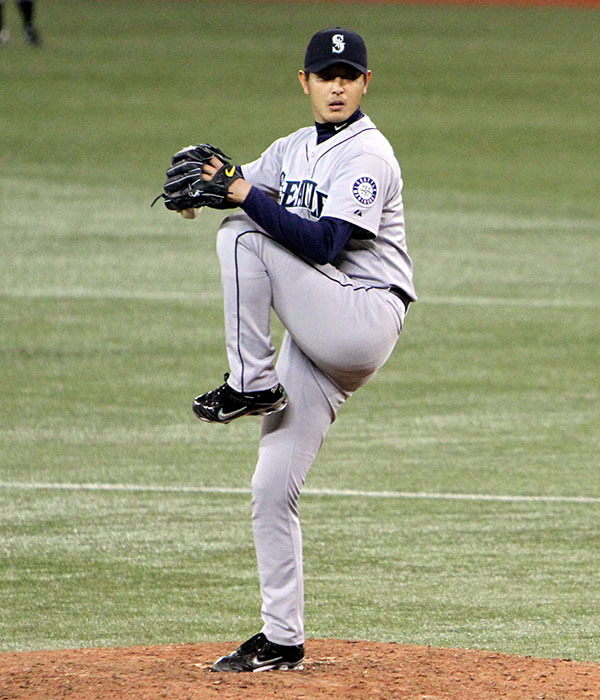 Maeda has earned five NPB All-Stars appearances and two Eiji Sawamura Awards as the league’s top pitcher. In 2010, he became the youngest pitcher in NPB history to win the Triple Crown leading the league in wins, strikeouts, and ERA. “Maeken” is the only Japanese born player to debut in the MLB this year and has taken the league by storm. During spring training this year, Maeda was hitting pitch after pitch out of the park during batting practice using a Japanese bat he brought with him. Catching a little flack from teammates, Dodgers’ manager Dave Roberts (hapa Japanese) promised him dinner if he could hit a homer in his first five swings with an American bat. He earned that steak dinner after Roberts threw the first pitch. 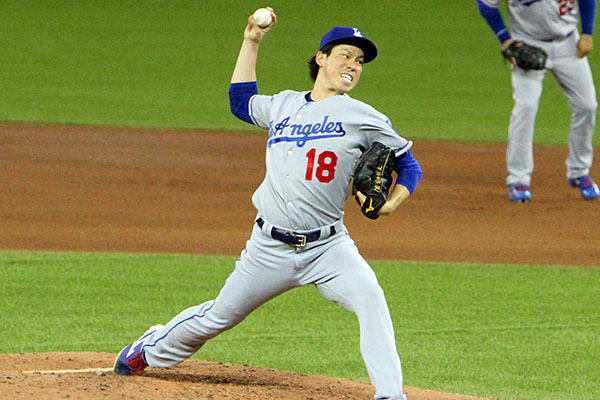 Ironically, Maeda hit a home run as his first career hit during his debut on April 6 against San Diego, shutting them out over 6 innings pitched for the win. He went on to start his career 3-0 and only allowing one run over his first four starts, another MLB first. He now leads the team in wins with a record of 13-7 and has a respectable 3.37 ERA. Ichiro Suzuki is still a few years away from retirement, so his all-time hits record could be even higher down the road. Photo credit: Jonathan Eto. 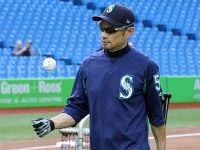 Ichiro needs no introduction having earned 17 consecutive All-Star honours and Gold Gloves from 1994-2010 spanning his NPB years with the Orix BlueWaves and MLB Seattle Mariners. He swung the bat well to start the season finishing April with a .333 batting average, .314 in May and .368 in June! His season high batting average of .347 was on July 7 after going 3-4 against the Cardinals. The inevitable 3000th MLB hit came August 7, 2016 with a triple off the wall in right field versus Chris Rusin of the Colorado Rockies. He became the 30th player in MLB history to hit this milestone and only the fourth non-American (Palmeiro, Carew, Clemente). Don’t forget he also had 1278 hits in Japan. 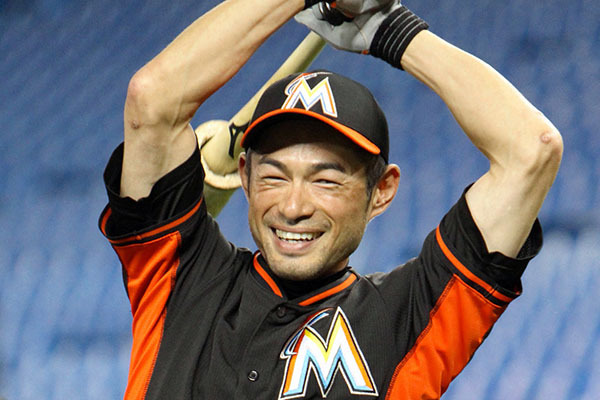 Hopefully we’ll have another chance to see Ichiro play in Canada next year or possibly at the World Series?. Kurt Suzuki of the Oakland A’s runs down the line to back up the first baseman in a 5-1 loss to the Blue Jays at the Rogers Centre August 6, 2008. Photo credit: Jonathan Eto. 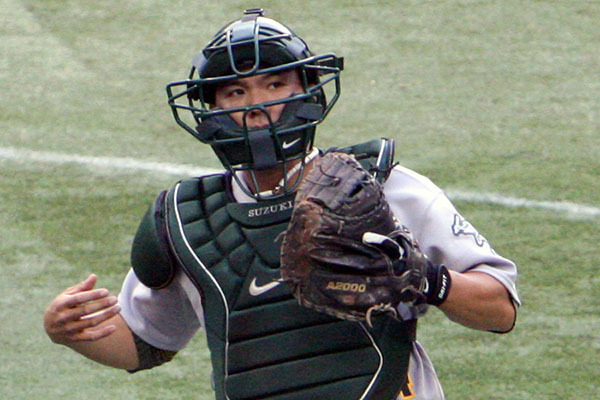 Kurt is a yonsei Japanese-American and was drafted by the Oakland Athletics in the second round of the 2004 draft. He has won several collegiate awards for his high quality of play and was a MLB All-Star in 2014 with the Minnesota Twins. In 2016 with the Twins, he has the highest batting average among starting American League catchers with .279. 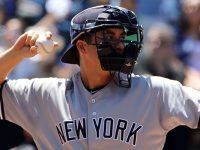 However, he cleared trade waivers in mid-August and is able to be traded to any team who is looking for a solid catcher to get them to the post-season. The highly coveted Masahiro Tanaka of the New York Yankees throws his very first MLB pitch against the Blue Jays April 3, 2014. Photo credit: Jonathan Eto. When Tanaka was signed by the NY Yankees in 2014, he had won 26 consecutive decisions in NPB. His MLB debut was against the Toronto April 4, 2014 and earned his first win despite giving up a leadoff home run in the Jays home opener. He was undefeated professionally from August 19, 2012 when pitching for Tohoku Rakuten Golden Eagles to May 20, 2014 with the Yankees losing to the Cubs. Despite poor run support from a rebuilding New York team, Tanaka is still their ace, leading the team in wins with an 11-4 record and a 3.11 ERA. 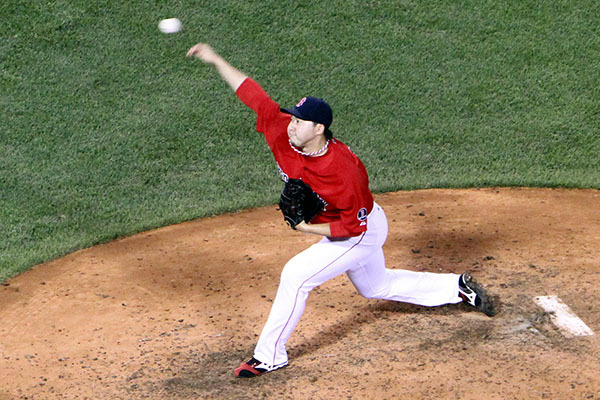 Junichi Tazawa at Fenway Park versus the Blue Jays September 20, 2016 as the Red Sox clinch the American League East Title 6-3. Photo credit: Jonathan Eto. Tazawa is one of three Japanese born MLB players that had never played in the NPB. Junichi had requested that no team select him in the draft so that he could explore his options in the MLB. In 2008 after high school, he played in for Nippon Oil in the corporate league and posted a 10-1 record and 1.02 ERA. 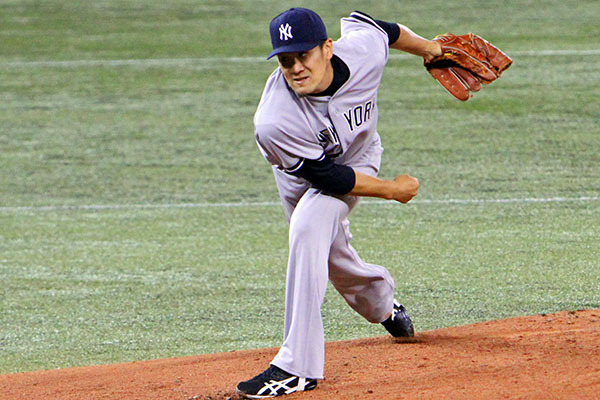 His first MLB start was against the Detroit Tigers August 11, 2011 where Boston won 7-5 as he surrendered only 1 earned run, making him the second youngest Japanese born player to start a MLB game. Used primarily as a set-up pitcher in his MLB career, he has had some ups and downs including surgery in 2010. A poor August this season has led him to a 2-2 record with 16 holds and a 4.17 ERA. His stats at the end of July were 1-1, 15 H and 3.31 ERA. 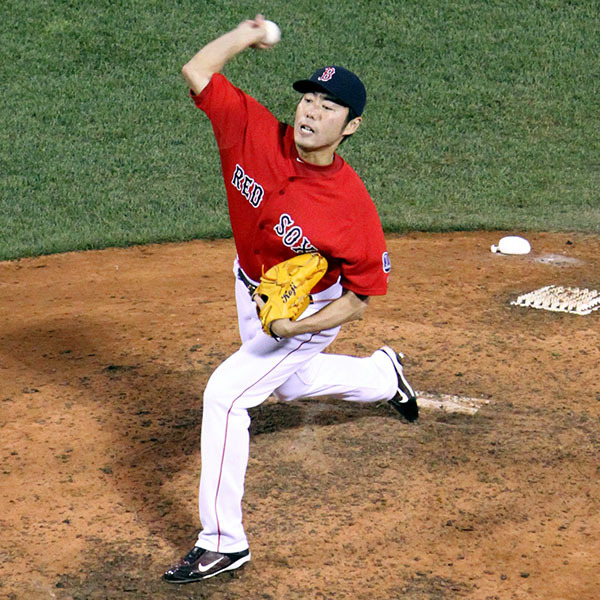 September 20, 2016 Koji Uehara closes out the Jays at Fenway Park striking out Brett Lawrie to win the American League East Title 6-3. Koji was selected by the Yomiuri Giants as their first pick in 1998 and earned eight All-Star selections and two Eiji Sawamura awards with them during his NPB tenure. In 1999, he won 15 consecutive decisions breaking the all-time rookie record. He signed with the Baltimore Orioles in 2009 and was originally used as a starter, winning his first two games before missing the remainder of the season in late June due to injury. From 2010 on he pitched out of the bullpen for Baltimore, Texas and finally Boston. In 2013 he won American League Championship Series MVP and closed out the final game to win the World Series. He earned his first MLB All-Star selection in 2014. His career 8.03 K/BB is the best in MLB history for a player with at least 100 innings pitched. Uehara has been battling injuries the last couple of seasons and has been sidelined since July 19 this year. He started the season out of the bullpen earning a 2-3 record, with 12 holds, 6 saves and a 4.50 ERA.